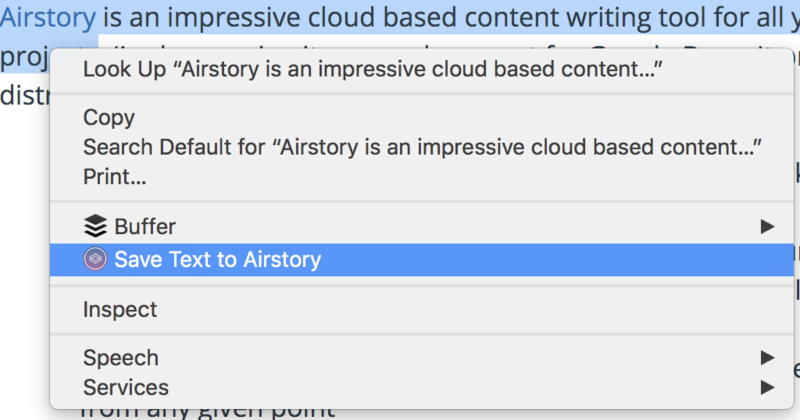 Connect your Airstory account with other apps to speed up the content creation process. The following integrations are available on all Airstory accounts - for free! Easily import your Evernote notes directly into your Airstory projects exactly when you need them. Access your Note Library while in your desired project by clicking on the Airstory logo in the upper left-hand corner. Click on the Evernote icon. Connect your Evernote account to your Airstory account. (Re)Authorize Airstory to access your Evernote account. Choose the Evernote notes you'd like to import and click Upload. Open your Airstory Note Library to find and use your imported Evernote notes. 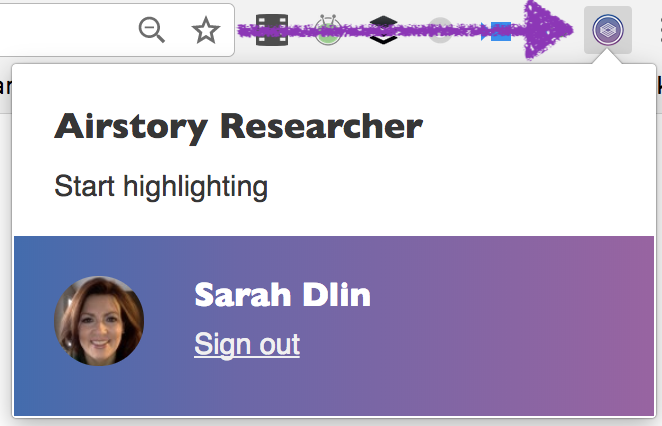 Airstory's Chrome extension, Researcher, allows you to grab content from the web, create an Airstory note from the selected content and then save that note in a desired Airstory project. Plus, the Airstory Researcher auto-captures info about the source – so you don't have to make note of the URL. To begin using the Researcher, grab the Researcher here; it will appear in your Chrome toolbar. Select "Save" and keep clipping web content OR view the clipped content in your Notes Library from within the selected project. 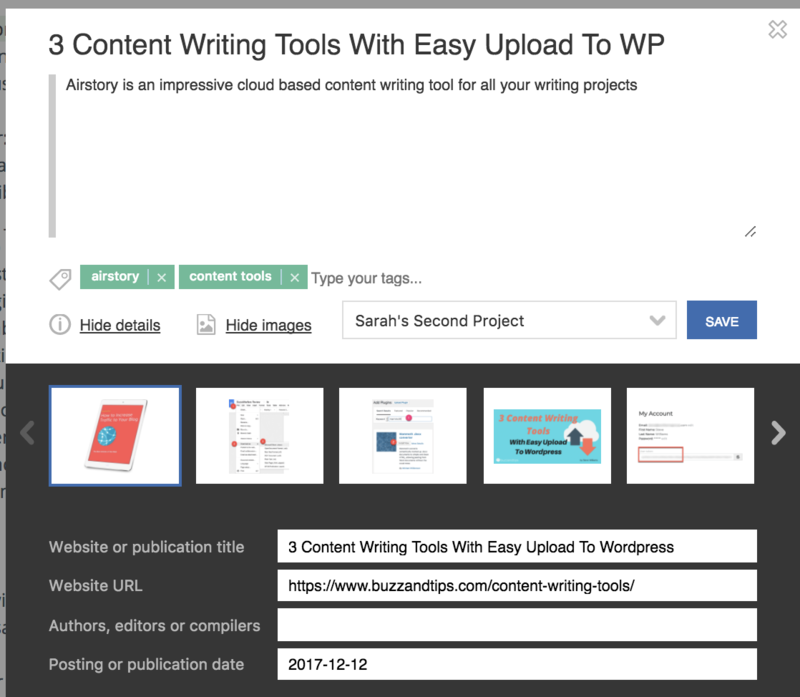 The Airstory WordPress plugin makes it fast and easy to send your Airstory content straight to any of your WordPress blogs (as a draft). Install the plugin and follow the instructions to activate it across all the WP blogs you run or contribute to. Works for multiple users. Note: Your blog must be capable of using https to use the plugin. Zapier is a user-friendly web service that allows you to automate actions (called Zaps) between the different web apps you use every day (e.g., an Airstory-Typeform Zap will automatically send your Typeform survey entries to Airstory as notes where they're ready to be pulled into your campaigns at a moment's notice). Jump in and start using the top 5 Airstory Zaps!